Wild meat was once a common part of the human diet. Before the advent of animal husbandry and agriculture, all of our food came from the wild. Today, more than ever, people are concerned about the provenance of the food they buy, its affect on their health and the ethics of intensive and industrialised methods of meat production. There is a resurging interest in wild foods in general and wild meat in particular. In a modern context, gathering is easier than hunting. It’s an easier way to supplement your diet – harvesting wild plants and fungi can be done in many places. Gaining permission and licences to hunt with a firearm on land is much harder. There are six species of deer living wild in the UK - roe, red, sika, fallow, muntjac and Chinese water deer. Roe and red are native, the others introduced. All of them can be hunted and each will provide good venison. 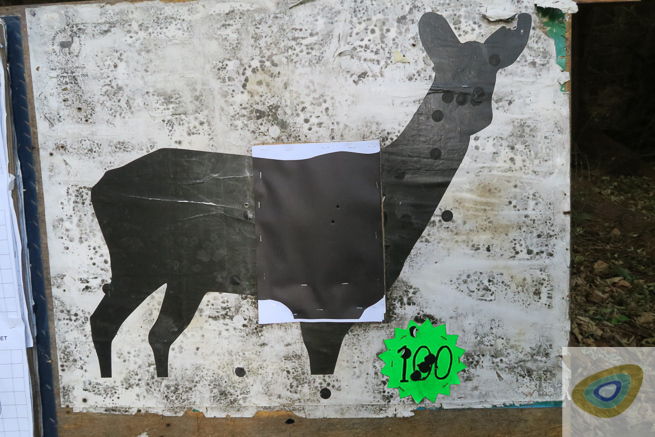 There are now, sadly, no natural predators for deer in the UK and the high reproductive rate they have as a result of historical pressure from predators means their numbers tend to grow quite strongly over time. This, in turn puts pressure on vegetation, particularly trees. Monitoring and controlling deer populations is very much part of habitat conservation work. Thus, even in the UK, with its relatively dense human population, deer provide a sustainable source of wild meat for those wishing to go to the effort of obtaining it. That said, obtaining the correct permissions is still something that is relatively obscure for most people. 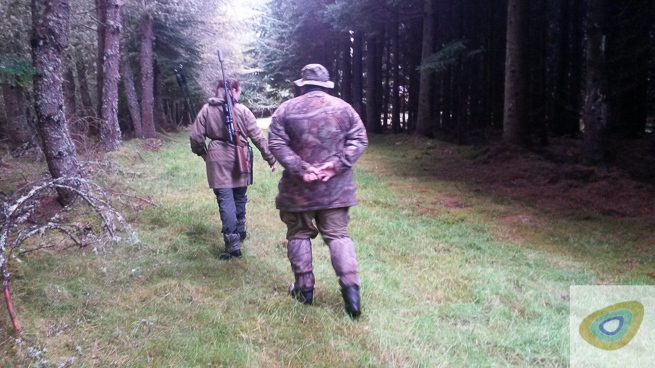 Further afield, hunting for wild meat is part of the culture. Firearms are also carried for safety from dangerous encounters with large animals. On travels in wild places, you will undoubtedly come across people carrying or using firearms. The training in marksmanship and firearms safety they have received is sometimes minimal and wanting. It is worthwhile having an understanding of shotguns, small bore rifles and full bore rifles in order to put yourself in a better position of understanding safety around their use. The Forest Hunter is a unique course, bringing together a complete package of skills required of the well-rounded deer stalker. 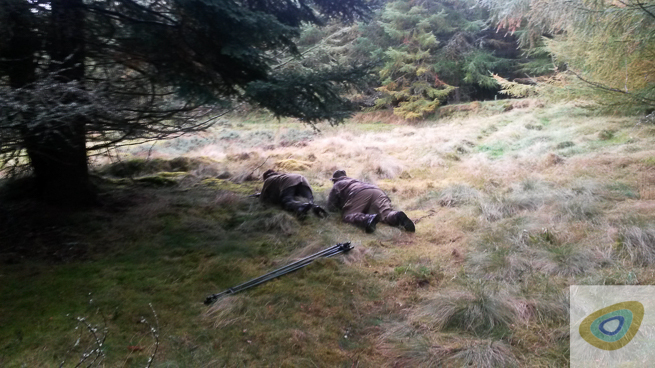 While the Deer Stalking Certificate (DSC) Level 1 is the primary deer stalking assessment in the UK, which comprises of an assessment of five key areas (shooting test, safety test, deer identification, meat hygiene and large game, and general questions), there is no practical training in actual stalking as part of this process. Indeed, the DSC1 is not a training course at all, it is an assessment of fundamental knowledge and safety and a very good one at that. Passing the DSC1 bestows "trained hunter" status on the certificate holder and allows them to provide venison into the food chain. There is a lot more you could add to further train a hunter, however. 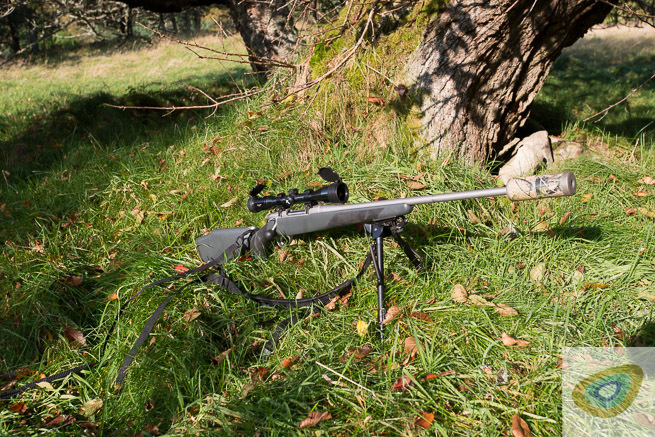 If you were to take the knowledge of deer identification, food hygiene, firearms safety, deer ecology that underpins the DSC1 but then add to it comprehensive training in general firearms safety, marksmanship, deer tracks and sign, systematic tracking, optics and observation, fieldcraft, gralloching, deer butchery and meat preservation, then build a course around this syllabus, you would have a very thorough training programme in all facets of core deer hunting skills. This is exactly what we have done in building the Forest Hunter course. The aim of this course is to take the beginner to a point where they have the practical skills to go out and apply all of the necessary skills to track, locate, identify then safely take the correct species at the right time of year, to inspect the animal and to process it into a valuable and healthy food resource. On the weekend directly after the Forest Hunter course finishes, there will be a DSC1 assessment for those who wish to stay on for this. Taking your DSC1 at the end of the Forest Hunter is entirely optional and you will need to book separately once you have confirmed a place on the Forest Hunter. The revision and test cost has been discounted to £230 for Forest Hunter students (usually £295). 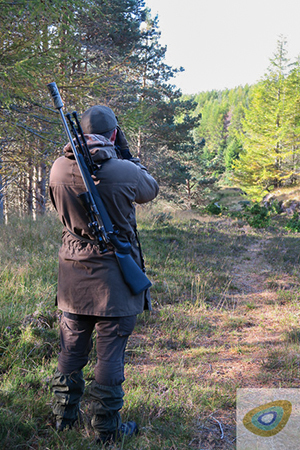 Please contact Andy Chadderton at Moray Outfitting directly to book your DSC1 assessment with him, once you have secured a place on the Forest Hunter (booking button is below). Andy is one of the instructors on the Forest Hunter and you will be able to stay over at the course venue on the Friday evening before the DSC1 assessment on Saturday. If you are taking the DSC1 assessment, then you are welcome to stay over on Saturday evening, allowing for a more leisurely departure on Sunday. If you are wondering why you cannot book both the Forest Hunter and DSC1 assessment directly through Frontier Bushcraft via the booking process below, it's because the DSC1 assessment is administered entirely by Moray Outfitting as its staff are the ones who are authorised to assess this certification. Please email Andy on info@morayoutfitting.co.uk to book your place on the DSC1 assessment. You will be camped in an area of extensive mixed coniferous forest (mostly mature plantation), surrounded by open moorland. There is a population of both red deer and roe deer in the area, as well as other native species such as red squirrel and pine marten. While this area is managed, it has a wild feel to it and provides a highly suitable, and safe, training ground for all the skills covered in the Forest Hunter course. Frontier Bushcraft has teamed up with The Stalking School/Moray Outfitting to provide this unique course. 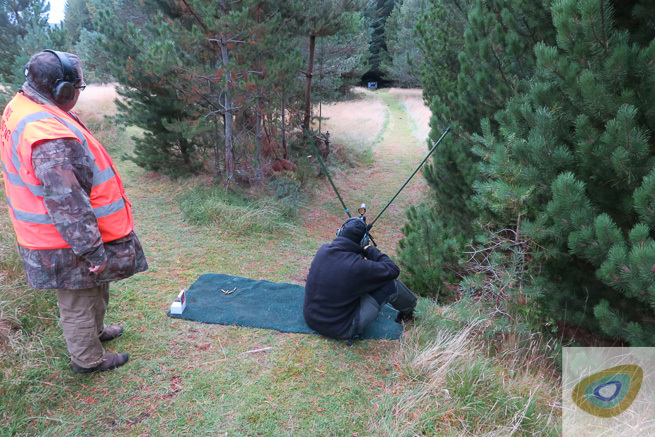 It combines the bush skills of Frontier Bushcraft's professional instructors with those of professional stalkers, each with decades of experience and who are both BASC Approved Trainers and Assessors but also Approved Training Providers to the Cairngorms National Park Authority. Lead instructors on the Forest Hunter course will be Paul Kirtley from Frontier Bushcraft and Andy Chadderton from Moray Outfitting. They will also be supported by assistants from their respective training schools with relevant experience. Further, everyone, even on the Frontier Bushcraft side, teaching on this course shoots and holds at least the DSC1. 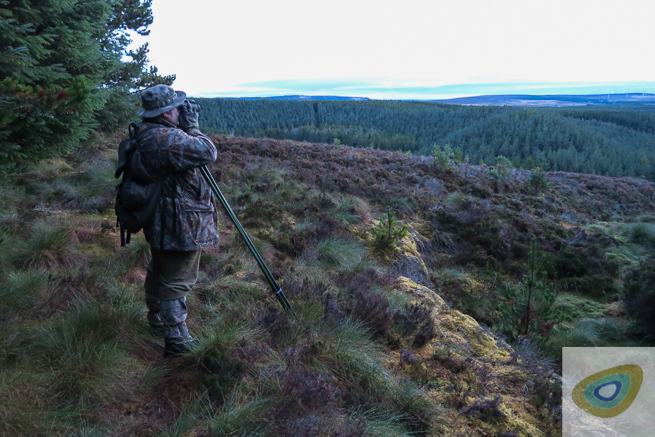 Professional Stalker Andy Chadderton, out on the land that is the Forest Hunter course venue, Moray, Scotland. 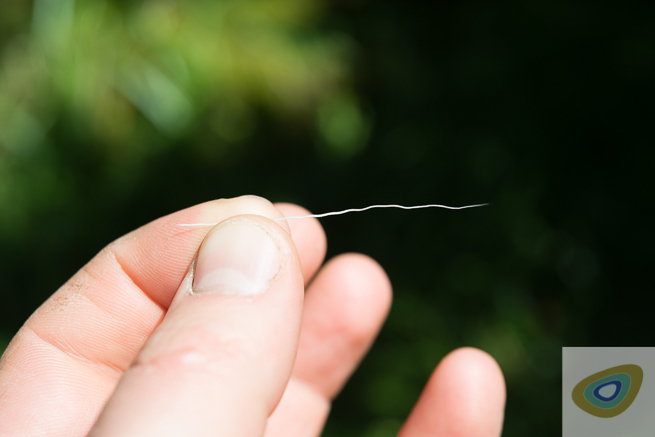 Learn all about the sign deer leave behind. The last stages of moving to a firing position. Learn to safely handle and use a full-bore rifle. 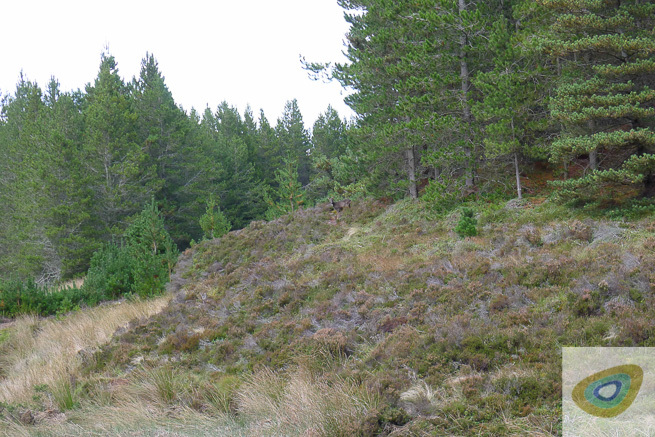 A roe deer at the Forest Hunter course training area. Cooking up prime cuts of venison over the communcal camp fire. 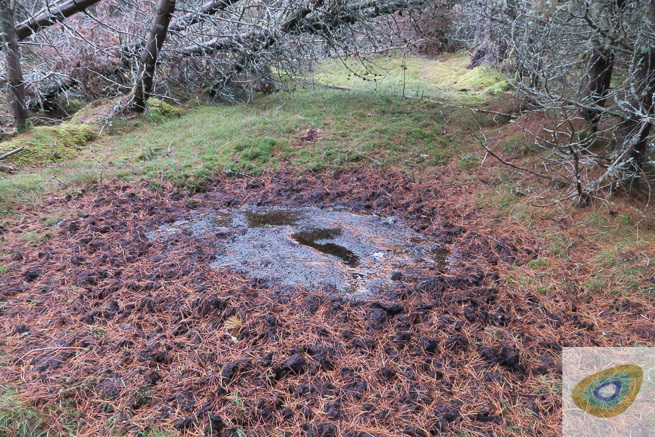 A red stag wallow in the forest at the Forest Hunter course site. You don't need to spend lots of money on specialist clothing or equipment for this course. The key things you need are some basic camping gear, a daysack, some binoculars, and outdoor clothing in natural colours (greens, browns, etc). Most people's "bushcraft clothing" is typically in these colours anyway. If you do not have any binoculars of your own already, please do not purchase any before the course. The course will almost certainly change your view of what you want/need. If you cannot borrow a set from family or friends, there are a few try-out sets available as part of the course. 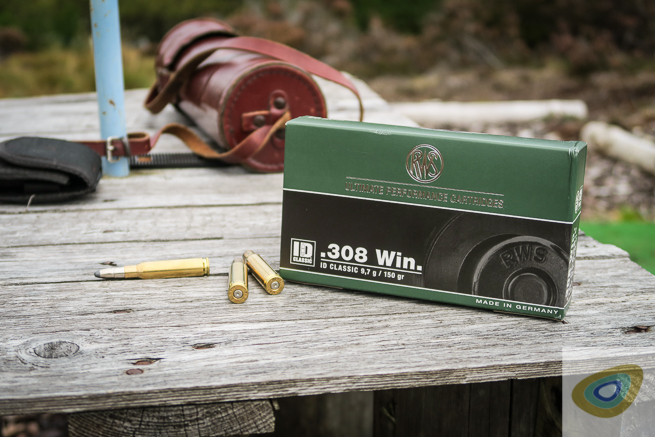 All specialist equipment, including firearms, will be provided and ammunition you use during the course is already included in the course fee. This course will be conducted entirely outdoors, from a base camp in the middle of a large area of private land in the Scottish Highlands. Within the base camp, there will be a covered communal area with a fire, kettle, tea, coffee, etc. We may have briefings in this area but it is available for you to use during any downtime in camp. If you have special dietary requirements there is the opportunity to tell us about this during the booking process. No previous experience of shooting, stalking or tracking is required to attend this course, although experience in any of these areas would not be a disadvantage. You should, however, be fit and able to be out and about on your feet all day. Expect to be walking several miles per day, sometimes on rough terrain, including plantation forest and the open hill. It's not a physically arduous course but if you have mobility issues, please speak to us first before booking. This course involves the use of firearms and is subject to the law with regards to who can possess and/or use a firearm. As part of the booking process, you will be asked to make declarations to this end and must ensure you are in a position to do so. If in doubt, please contact us by email. Suitability: Strictly 18 years & above. Course Leaders: Paul Kirtley and Andy Chadderton. 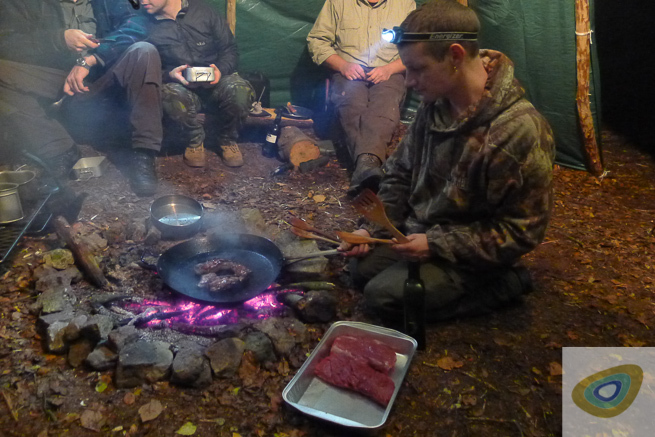 Back to the bushcraft courses page.